Released by MCA on November 12, 1991. First VOIVOD studio album from the 90's, "Angel Rat" marks a musical orientation change from dark thrash prog metal towards more accessible "space grunge". Fans of the 80's stuff from the Canadians may be a bit disappointed at first listen. It's also the last record with bassist Jean-Yves Thériault (Blacky). However, "accessible" does not necessarily mean of lesser interest, and grunge is a subgenre that VOIVOD influenced. In fact, the band has been cited as a reference by the members of NIRVANA, due to their particular dissonant sonorities. Furthermore, there's still a bit of metal as well as typical VOIVOD tortured sounds in this opus. Therefore, "Angel Rat" is more a logical evolution than a radical turn, and thus deserves attention. The first half of the disc is the most interesting. "Shortwave Intro" is a short electronic opening for the powerful and somber "Panorama". Its dynamic riff sets the tone for the rest of the album. "Clouds In My House" and "The Prow" are efficient grunge songs with a few spacey touches and haunting moments. Very nice. "The Prow" may be my favorite of the disc, ideal to navigate aboard a cosmic ship! "Best Regards" is a cool 80's heavy rock with some changes, while the dissonant "Twin Dummy" is a bit average. After this sonic deluge, calm comes back momentarily with the title track. An enjoyable alternative rock track, nothing more. The second half of the record is unfortunately not as good. The hard grunge "Golem" and the US big rock "The Outcast" are not very convincing. The best and most original passage of this second half is undoubtedly "Nuage Fractal". This strangely named space rock will you make you travel through the dark universe! "Freedoom" is another alternative rock song, but more peaceful and floating this time. Not bad, but does not really maintain attention until near the ending. The disc concludes with the average "None Of The Above". Neither very progressive nor often cited by fans, "Angel Rat" contains however very good tracks that should interest the fans. Even if the overall result is unequal, the band manages to keep their musical identity while merging their style in the then nascent grunge genre. Don't pick this disc if you're looking for heavy/thrash prog metal, but if want punchy, accessible and a little somber rock, or just to discover VOIVOD, then you can go for it. Although I'm entering the fanhood of Voivod a little later than most of the band's dedicated apostles, I've been listening to the albums from this band's illustrious career, and piecing together a timeline of their stylistic changes. The band started out with a clearly defined root in thrashy speed metal, but around the middle of their career, Voivod was morphing their sound with every album. 1989's 'Nothingface' was one such album that showed Voivod doing something new, and as the peak of their metal output, it was a jaw-dropping display of progressive thrash metal. Now, after such an exciting style that the band had finally found for themselves, a fan of the band at the time would probably have thought that Voivod would continue to pursue that sound for themselves, releasing album after album of similar sounding 'Nothingface' successors. Even though it came out twenty years ago, the band's sixth album 'Angel Rat' still comes as a big surprise to me. Instead of sticking with this golden style that they had innovated with 'Nothingface', they instead move on again in search of new ways to approach their music Toning down their metal grit in favour for a more mellow take on Voivod's distinct sound. I would restrain myself from calling this a metal album; while Voivod was most certainly a metal band in earlier albums, there is not nearly the same bite here that they used to have. The songs are given mostly conventional structures, and if I was going to give any label to this music, it would have to be 'spacey hard rock'. 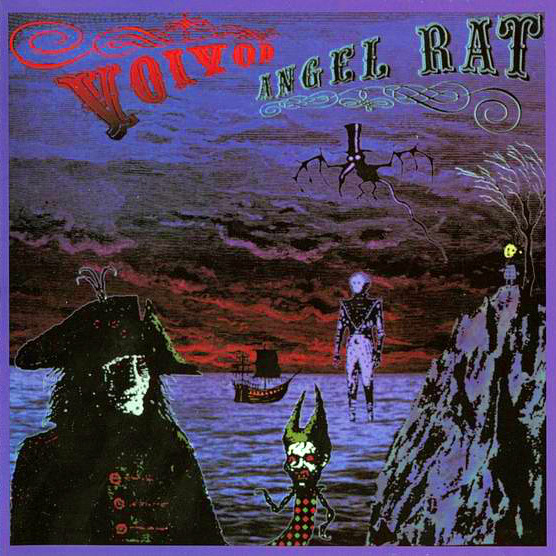 While hearing 'Angel Rat' described like this would have me think that they were dumbing down their sound in the commericial vein that a few other thrash bands did in the early '90s, but Voivod would maintain their progressive edge in the music, despite things being a little less sporadic in the music itself. The songs here still have the sci-fi vibe of earlier Voivod material, and these songs feel more influenced by Voivod's prog influences than the metal. Piggy's riffs are still quirky, but the vanguard experimentation has been toned down. This is a very band-based effort that focuses on good songwriting. It lacks the shock and jaw-dropping nature of 'Nothingface', but the music is good. The band's performance is tight, and this may be Denis Belanger's greatest vocal performance in Voivod's history. Despite the concise nature of the songwriting, I do find this to be Voivod's biggest grower album, and it's precisely for the fact that it is so mellow, when compared to the rest. There's no 'in your face' attitude or proggy vibe here, just songs, and for a band who would have me constantly guessing at what new exciting things would be coming the listener's way, that can be a big adjustment. 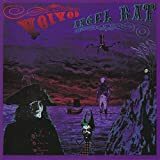 Although I didn't find myself liking it all too much at the beginning, 'Angel Rat' is a greatly written album that fits snugly into the middle of Voivod's golden years. They are not from this world any more! Voivod has transcended the waves of space and time and floats somewhere high above an ordinary human state of mind. I may warn you, because this album has nothing to do with the band's early thrash metal albums or the later extreme post industrial metal. This isn't even metal at all, it is pure and perfect progressive rock, somewhere between King Crimson's "In The Court Of The Crimson King", Rush's "Moving Pictures", Genesis' "Wind And Wuthering", Pink Floyd's "Darkside Of The Moon" and the band's previous "Nothingface", just to give you an idea. When I first bought and listened to the album, I thought that somebody had put the wrong CD in the slipcase. This doesn't sound like anything you have heard from Voivod before and later on. Even today, when the band still plays "Panorama" or "The Prow" live on stage, it sounds much heavier and down to earth than on this album and doesn't have the same feeling at all. Voivod truly created something that they were never able to do again, they wrote this song in a very special mood. This album is softly floating and I wouldn't be surprised to know that those guys were completely on acid while they composed this album. Singer Snake completely flies away in the video clip for "Clouds In My House", high above the earth, sorrounded by starnge white paper floating around him like snow. This image represents perfectly the mood of this album. Snake sounds softer and more emotional than ever before, the drumming is relaxed but still tight in the same way, the bass guitar creates really eerie or spacey vibes and the melodic guitar produces sounds that you have never heard before. Voivod even integrate some new instruments like the harmonica part on "The Outcast", but those surprising elements are decently used and fit perfectly to the songs. Voivod do not abuse those new elements and that's why there are many little surprises to discover on this album. It is difficult to mention highlights on this album which works as a whole masterpiece, but half of the songs of this album also work out of the conceptual basis and give me regular chills and goosebumps. "Panorama" reminds somehow of the syle of the previous album and is the heaviest song on the album and very well chosen as a tight opener. "Clouds In My House" is a perfect title as this song makes you dream and fly away and has brilliantly tender and dreamy finale. During "The Prow" you hear ocean waves and the song has a mystic atmosphere that surrounds it in a very eerie way and you can't get this song out of your head once you have listened to it. The title song "Angel Rat" is the most spacey song on the album, has a really eerie atmosphere and feels like a bizarre dream with its floating guitars, multiple dreamy choirs and voices and almost electronical or decent new or dark wave parts. "The Outcast" surprises with many interesting changes of style and the harmonica part in the beginning. "Freedoom" begins as a very tender hippy ballad and is the most relaxed song Voivod have ever written. I just mentioned six songs out of twelve which are six unique masterpieces to me. The other ones are almost as strong and the whole twelve songs form something really unique and perfect. Thrash or heavy metal fans may not get a good approach to this album which has been largely discussed, criticized and is until today very controversial. If you are a fan of progressive rock, you will adore this album though and maybe see it as the rebirth of a whole genre, it is the greatest progressive rock album since "Wind and wuthering" almost fifteen years before this one. Every song creates a really bizarre, tender, spacy, floating, mysterious atmosphere and makes you dream and chill. This album is the most underrated album I know, it is one of my favourite albums of all time and really close to perfection!